DACPD53– This Level 5 Unit introduces the practitioner to the concepts of structured, cumulative, multisensory learning. The links between attention, memory and multisensory input are explained, and the need for structured, explicit intervention is examined. Completion of the Unit will enable the practitioner to design lessons which maximise learning potential. Describe the principles of structured, cumulative, multisensory tuition. 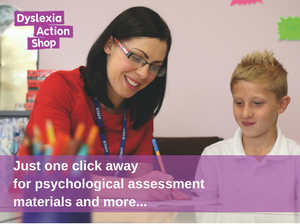 Demonstrate understanding of the role of structure in supporting learners with dyslexia and co-occurring difficulties. Distinguish between the practices of over-learning and cumulative tuition. Describe the link between multisensory input, attention and memory.